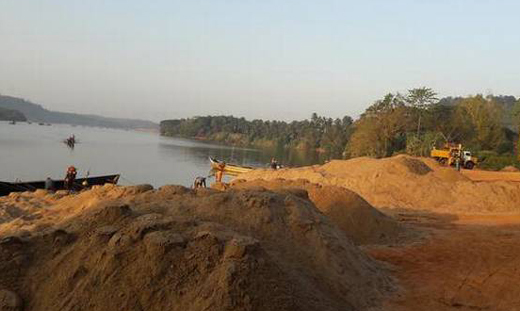 Bantwal, Jan 31, 2018: Bantwal Rural Police and the officials of the Department of Mines have in a joint operation, raided illegal sand extraction sites at Barimaru and Sarapady on January 31, Wednesday and seized sand worth several lakhs of rupees. Four mechanised boats and a lorry have also been taken possession by the raiding team. The raids followed a tip off and were conducted under the directions of the new SP Ravikanthe Gowda. The raiding team was led by Bantwal Rural SI Prasanna. The accused however managed to escape The value of the seized goods has been estimated at Rs 5 lakhs.